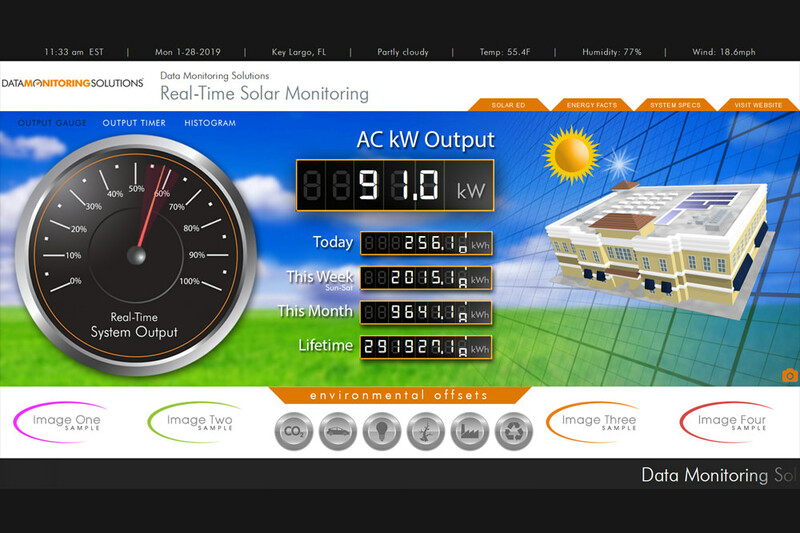 After a year and half of development, testing and design, Data Monitoring Solutions is excited to announce the launch of their upgraded Solar Monitoring Program.� Since 2006, DMS has been setting the standard for Solar Monitoring, and now with this upgraded system, they leave the competition in the dust. "I thought I was fired up 13 years ago when launched version 1.0, but this new version has features I could have only dreamed of." Says Founder and Co-owner Conrad Eskelinen. This new upgrade changes from a .net and Flash platform, which was the premier programming languages 13 years ago, to the now more versatile, stable and multi-device compatible upgrade allows companies to take full advantage of our customized front-end, as well as the new comprehensive back-end, complete with a detailed reports systems, alerts, weather cross-referencing and a whole slew of other features.� CLICK HERE to view a demo FRONT-END.� If you are interested in finding out more about Solar Monitoring, contact DMS at 888-351-5333 or email support@datamonitoringsolutions.com.